The San Juan Southern Paiute Tribe was federally recognized in 1990, but has lived for centuries east of the Grand Canyon, between the San Juan and Colorado Rivers. It is one of the smallest tribes in Arizona, with membership around 300, and it is included as part of the Navajo Nation land. The tribe lives in communities in Northern Arizona, the largest in Willow Springs, near Tuba City, and in Paiute Canyon near the Arizona-Utah border. In 1907, their land in southern Utah was proclaimed as the Paiute Strip Reservation, however in 1922 it was integrated into Navajo land and they lost their land base. 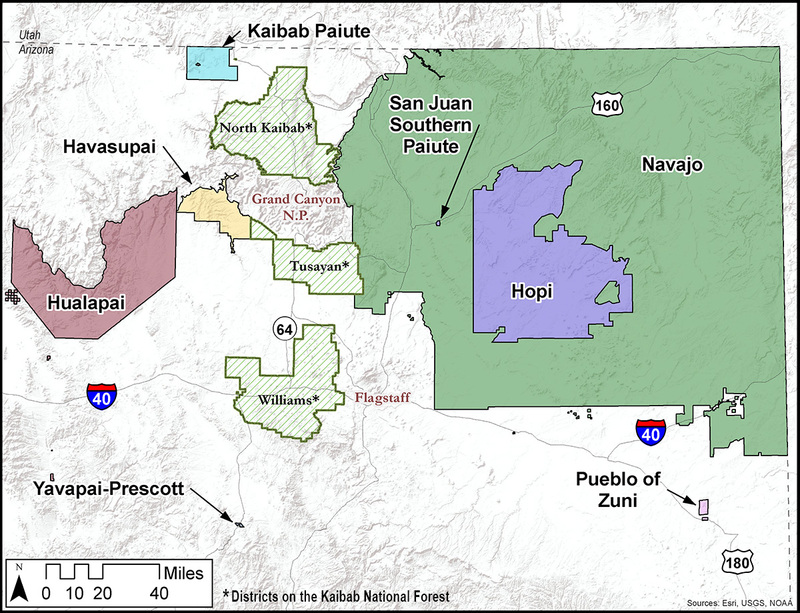 Although their land is included in the Navajo Nation, their language and culture is distinct from the Navajo.